What is your answer when someone asks you “Why should I believe in Jesus?” or do you yourself have this question? 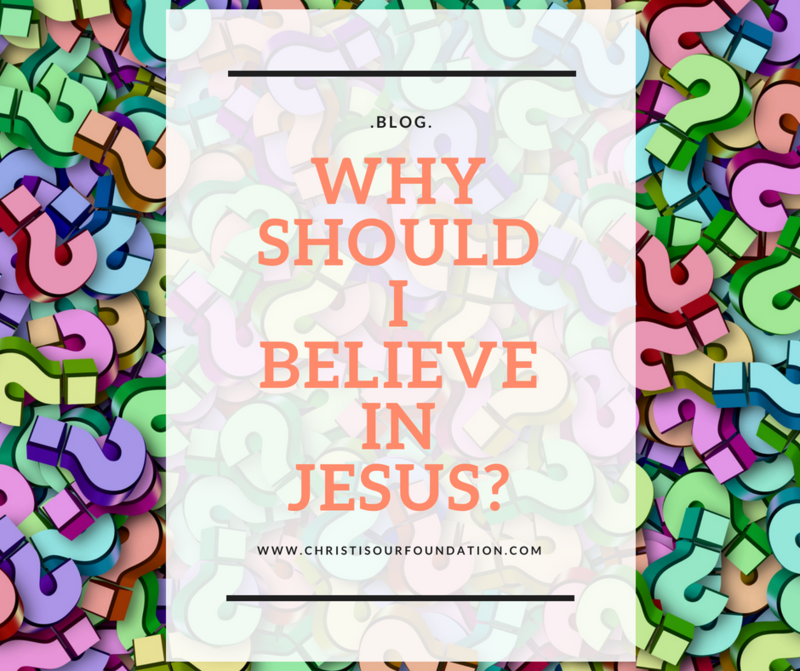 So I thought why not write about Why do I believe in Jesus? It is very important that we ask this question to our self and have an answer for it. If you don’t have an answer to this question, try to get an answer. If you have been brought up in a Christian traditional home then there are very high chances that you haven’t personally tasted Jesus in your life. If you are a new believer and have accepted Jesus into your life as your personal savior, what is your reason for accepting Christ as your personal Savior? If you haven’t known Jesus ever before and you are reading this to find a reason to believe in him, I have infinite reasons to give you why to believe in Jesus. For many Jesus was a prophet reborn and to others, only the Son of God and still others believed that he was just an angel. Wikipedia describes Jesus as a Jewish preacher and religious leader. In John 10: 30, Jesus says that “I and the Father are one.” At first glance, this might not seem to be a claim to be God. However, look at the Jews’ reaction to His statement, “‘We are not stoning you for any of these,’ replied the Jews, ‘but for blasphemy, because you, a mere man, claim to be God’” (John 10:33). The Jews understood Jesus’ statement as a claim to be God. In the following verses, Jesus never corrects the Jews by saying, “I did not claim to be God.” That indicates Jesus was truly saying He was God by declaring, “I and the Father are one” (John 10:30). Another powerful statement made by Jesus was when he said in John 8:58 – “‘I tell you the truth,’ Jesus answered, ‘before Abraham was born, I am!’” Again, in response, the Jews took up stones in an attempt to stone Jesus (John 8:59). Jesus’ announcing His identity as “I am” is a direct application of the Old Testament name for God (Exodus 3:14). John 10:11 Jesus says that “I am the good shepherd”, David speaks in Psalms 23:1 that The Lord is my shepherd, I shall not be in want. The above verses are just few which speaks who Jesus was. So Jesus was and is the Son of God. He was 100% man and 100% God while he was on earth. Jesus is God the Son. Why do I believe in Jesus? I believe and have faith in Jesus, not because my parents are missionaries, not because I have been hearing about Jesus since my childhood but because, Jesus died for me and you, even while we were still sinners. His blood has redeemed me from my sins and through him, I have salvation and eternal life. But Why Should you believe in Jesus? The choice is yours, he has given you a free will and you can choose to believe it or not. But let me also tell you one thing, The Bible clearly says that the eternal life is for those who believe that Jesus died and rose again for our sins. We have redemption and salvation only through him. You will be judged based on how you live on this earth. Once you finish the journey on this earth, no amount of prayer to anyone including saints can take you to heaven. You have nothing to lose if you believe Jesus is GOD and accept him as your personal savior but everything to lose and suffer in eternal hell if you don’t believe. There is no second chance after death, repent of your sins now while you are alive. You are Gods most wonderful creation, when I planted a sapling and saw it grow in front of my eyes, my heart was overjoyed. But one day it withered away due to the heat and it broke my heart. I saw it dying, so dear ones, one death is inevitable but the second death can definitely be avoided. God’s heart breaks when he sees his creation whom he created in his own image suffering in the eternal hell. No prophet or self-claimed gods has ever claimed this. So as you read this, I pray in my heart the May the Spirit of God intervene in your heart and reveal the light to you.